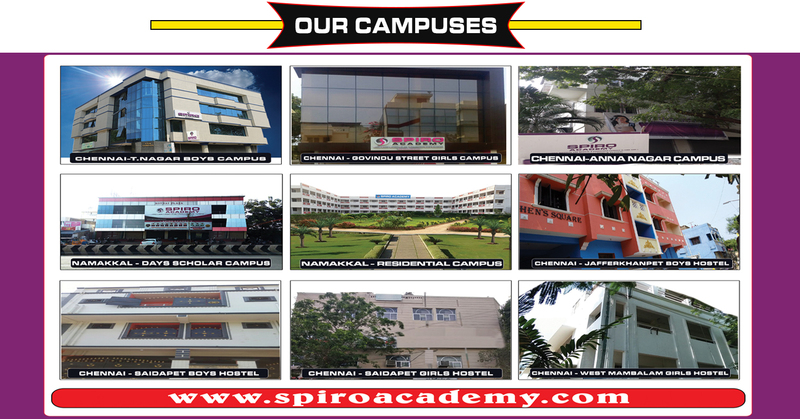 Spiro was established on 8th May, 2005 in Chennai. 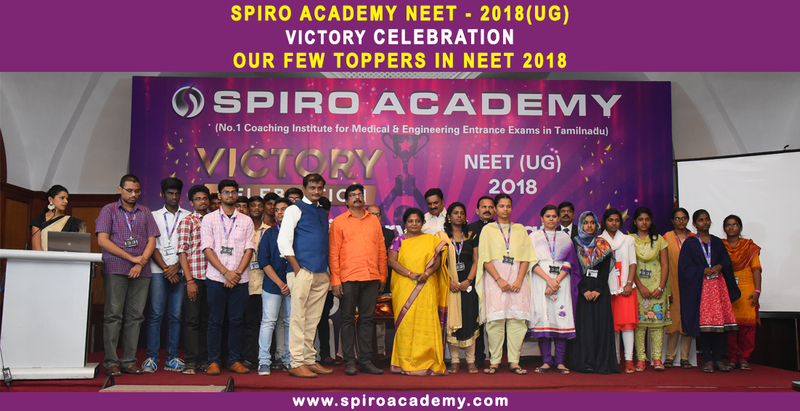 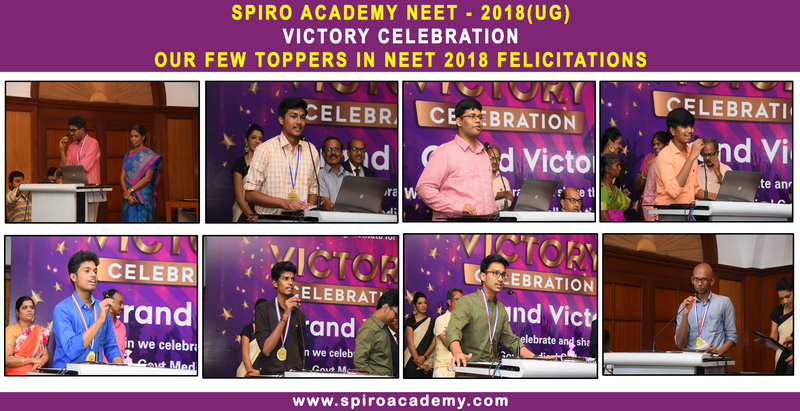 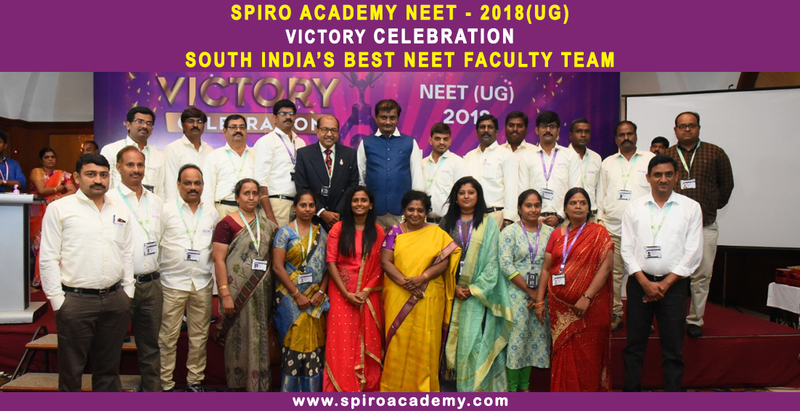 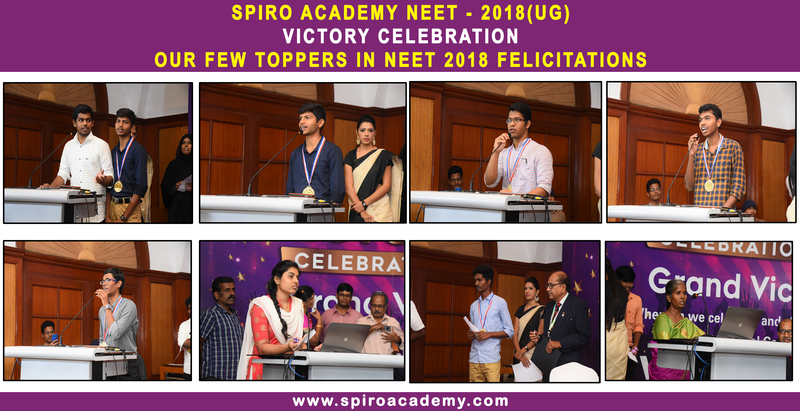 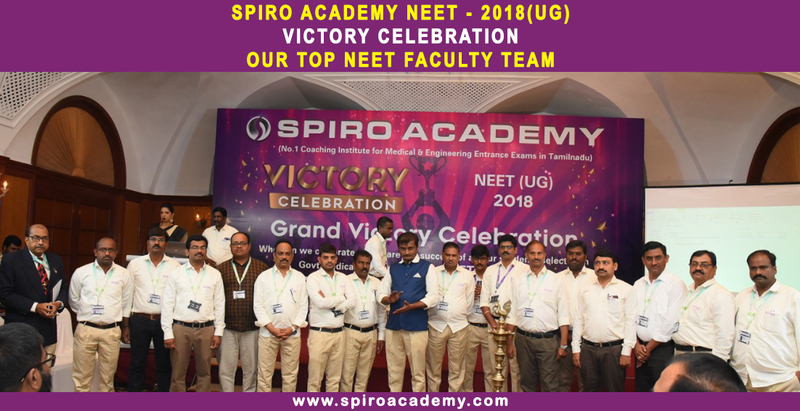 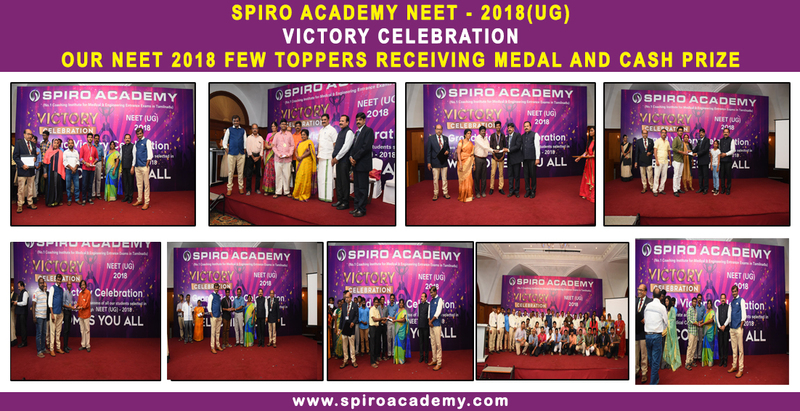 The institute was named as SPIRO with the commitment to enhance the teaching to bring them in the frequency band of teacher so that SPIRO becomes a reality. 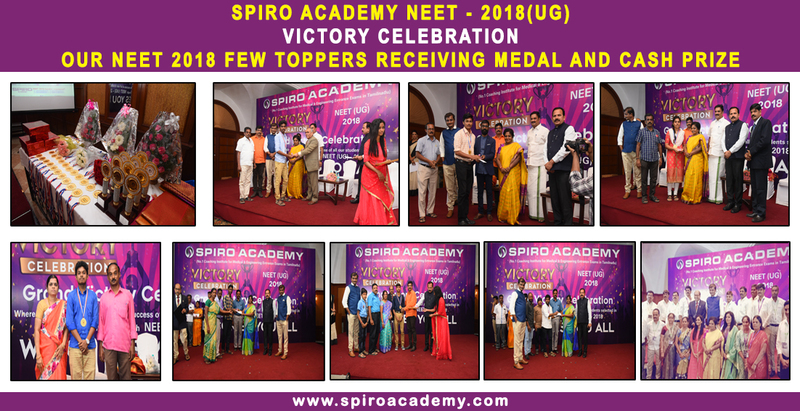 In Eleven years of its inception, the institute has risen beyond all the expectations in terms of volume and quality of results. 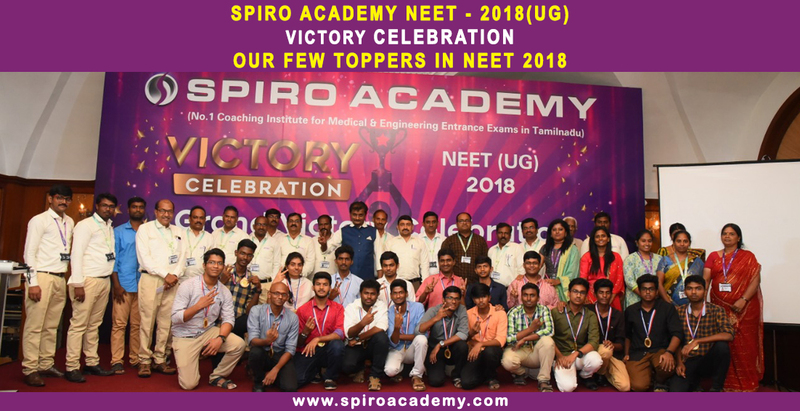 The growth in number of student's enrollment in classroom coaching as well as selections in JEE (Main+Advanced) & NEET(AIMPT) is matchless as compared to any other institute in the country offering classroom courses for JEE (Main+Advanced) & NEET(AIMPT)coaching. 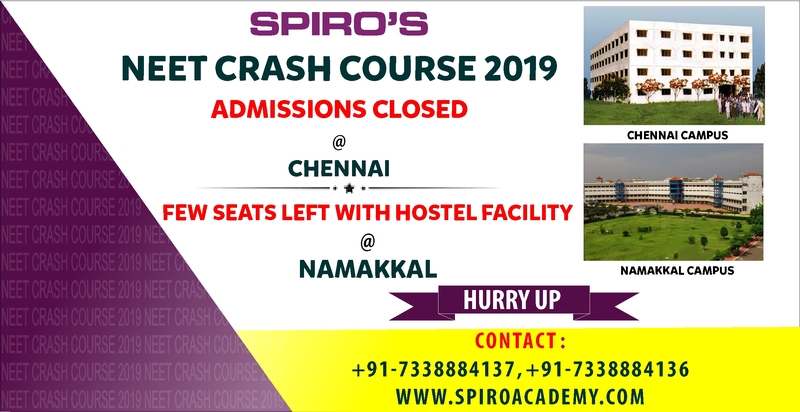 The institute is having its own Study Centres which are offering Classroom Programmes for JEE (Main+Advanced) & NEET(AIMPT) at Chennai.